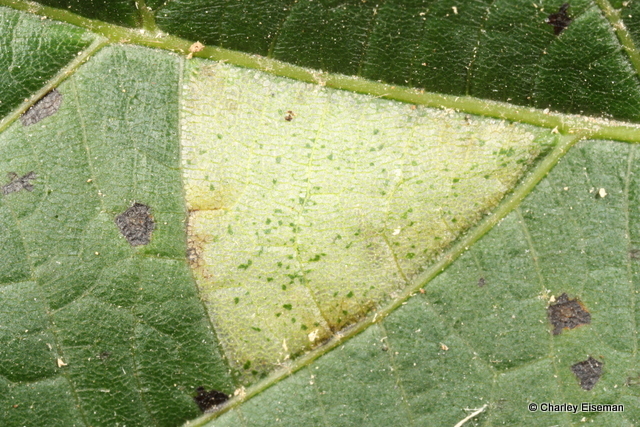 This discolored patch discreetly tucked between the veins of a basswood (Tilia americana) leaf is the leaf mine of Phyllonorycter lucetiella (Gracillariidae), a moth. 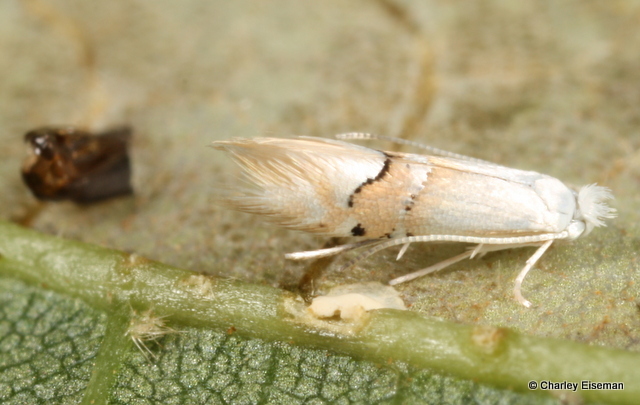 This is one of the first leafminers I ever raised to adulthood, from a leaf I collected in the fall of 2009, but the adult had already died when I discovered it the following April. Since I much prefer pictures of live insects, I tried again the next year, but the moth that emerged that summer, although alive, had severely deformed wings and was even less photogenic than the dead one. So when I spotted the above leaf mine last July, I flipped over the leaf to see if it was still occupied, offering me a third chance. 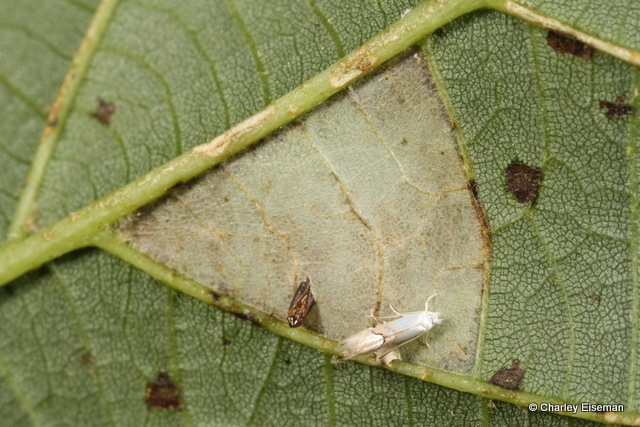 As luck would have it, the moth had just emerged and was still resting there, a few millimeters from where the pupa had been thrust through the lower leaf surface to let it out. 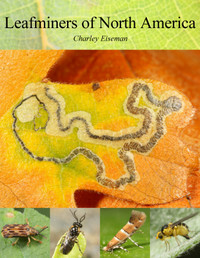 If only all leafminers would time their emergences so well, it would save us all a lot of trouble. 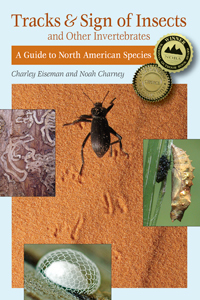 This entry was posted in Uncategorized and tagged basswood, Gracillariidae, leaf mine, moth, Phyllonorycter, Phyllonorycter lucetiella, Tilia americana. Bookmark the permalink. So amazing, isn’t it? Life is everywhere, but we only choose to see the surface. Thank you.